Instagram shopping is slowly, but steadily, becoming a thing of its own. Sure, there’s no secret that people have been sighing with dreamy eyes at the products and services neatly presented on Instagram. In fact, statistics leave no doubt that Instagram has been helping brands sell more for quite some time now. With 80% of accounts following a business on Instagram and approximately 30% of users making a purchase after discovering a product on the platform, the Instagram shopping potential is more than apparent. And you’ve guessed, that’s also great news for your brand’s selling potential. However, in order to make the most out of both of these potentials, you need to know the insides of the tools that make them possible. That’s why today we’re going to have a closer look at Instagram shopping and user behaviour, while also dealing with the features of the Instagram shoppable posts. If you want to have a head start, we suggest you have a quick look over our past materials and resources in which we’ve revealed some useful tips and tricks regarding selling on Instagram. Now, let’s get to work! 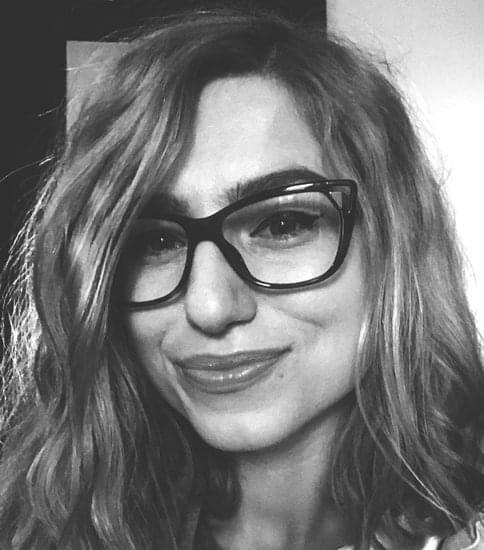 To understand exactly how Instagram can become a shopping asset in your tool arsenal, you must first understand Instagram shoppable posts. The feature has been available for quite some time now, but it was limited to a selected number of big brands in the US. Starting March 2018, the Instagram shoppable posts have been rolled out to 8 more countries, and will slowly become a tool everyone will be able to use. The really cool thing about Instagram shoppable posts is that it allows accounts to tag products in their organic content, be it in the newsfeed or in their Stories. The way they are displayed is elegant and neat, showing a little shopping bag overlapping the image. If interested, followers can tap on the shopping bag to reveal more details such as the product name and price. Tapping the “shop now” button redirects followers directly to your website page. You can even tag multiple products in a single image. All Instagram shoppable posts from your profile will stand out as they’ll be marked with the shopping bag icon in the upper right corner. As you can imagine, these make Instagram shopping a more seamless experience, without leaving the platform and increasing thus the chances of a purchase. Before you get started with the Instagram shopping tools, you need to get your account ready. As mentioned, only a few designated countries currently have Instagram shoppable posts as an option and, even if you’re from one of those countries, you must first have to get approved. Don’t worry, it’s not that hard and we’re going to walk you through it. Step one means switching to an Instagram Business account. If you don’t currently operate one, simply go to your profile and access the “Edit Profile” option. From there, select “Try Instagram Business Tools” and follow the prompts. Next, make sure your Instagram Business Profile is associated with a shop on Facebook, a catalogue in your Business Manager or Shopify account. Step two is doing some integration between your product catalogue and Instagram. The most simple way to go about this is to first create a Shopify account. All the subscription plans are paid, but you’ll definitely find an option to suit your needs. Then, to continue to the Instagram shopping experience, link your Facebook product catalogue with Shopify. Check the settings in Shopify to ensure that everything’s up to date and that the linking is done properly. If you need a step-by-step breakdown on how to connect Facebook to Shopify (and thus Instagram) you can read the explanation here. Once you’ve done that, start uploading new products to your Facebook catalogue. Step three is applying for approval. Step for is waiting for approval. That will definitely be the hardest part. Chances are you’re going to have to wait a few days, but if you’re in you’ll receive a notification letting you know that you can start tagging products. 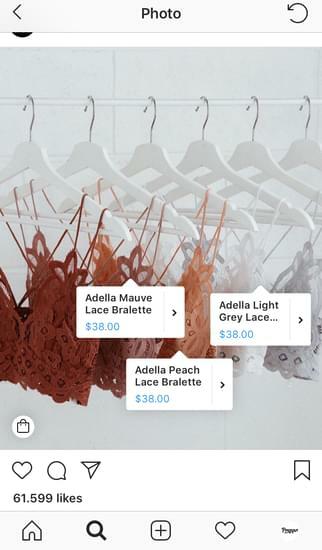 It’s the chance you’ve been waiting to take Instagram shopping by storm with Instagram shoppable posts and Stories. That’s it! Now followers will be able to find out more details about the products you tagged in the post. Your Instagram shoppable post will be signalized in the feed with the shopping bag items in the left hand lower corner of the image. Unmissable! 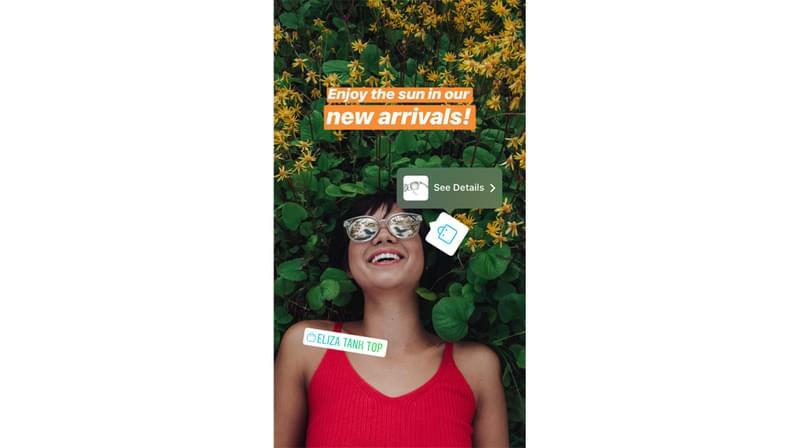 Another great way of enabling an Instagram shopping experience for your followers is by using the Instagram Stories Shoppable Stickers. The bad news here is that Instagram Shoppable Stickers are only being tested right now and thus they are available to a selected number of accounts. But once they go mainstream, you’ll be able to easily tag products by simply finding using “Shopping Bag” sticker. 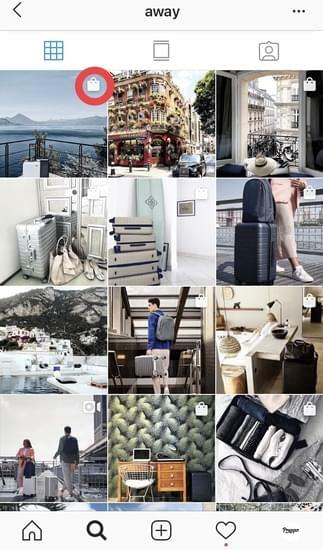 Given the fact that Instagram is a social media platform that sparks more wanderlust and inspirational content than any other platform (there’s a reason why Instagram influencers are such a big hit) you should definitely not miss the big opportunity it offers for turning followers into customers. 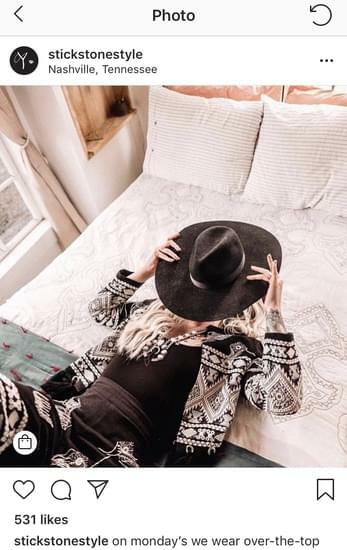 To leverage the Instagram shopping experience and make the best use of shoppable posts and stickers, you need to create a coherent marketing strategy that elegantly knits these. Make it a fun Instagram shopping experience! So there you have it! The very fundamentals that will set you on the right path to an Instagram shopping extravaganza! We’re eager to hear your thoughts on Instagram shopping and learn how your approval process goes. Keep us posted!